Welcome to Israel!! Transfer to your hotel in Tel Aviv for dinner and overnight. Following an Israeli buffet breakfast, depart Tel Aviv to drive north along the coastal plain to Caesarea, capital of Judea under the Romans. Visit the excavations of this ancient city, the Roman Theatre and Aqueduct. Continue to Megiddo, identified as the site of Armageddon. Visit the archaeological excavations at Megiddo, including the well-preserved water supply system. Drive to the beautiful port city of Haifa for a panoramic view of the Bahai Gardens and Haifa Bay. Continue to Acre, capital of the Crusaders for more than a century. Visit the ancient city and harbour and drive to the Kibbutz Hotel Lavi, close to the Sea Of Galilee for dinner and overnight. After a short tour of the Kibbutz grounds, enjoy a boat ride across the Sea of Galilee to Capernaum, the headquarters of Jesus' ministry in Galilee. Visit the remains of the 2nd century synagogue. Proceed to Tabgha, the site of the miracle of fish and loaves, and visit the Church of Multiplication with its 4th century mosaic floor. Continue to the Mount of the Beatitudes, where Jesus delivered the Sermon on the Mount. Drive to the Caesarea Phillippi Spring and Waterfall, where Jesus was recognized as The Messiah by His Disciples. Tour the Golan Heights. Return to Kibbutz Lavi for dinner and overnight. Drive to Nazareth. Visit the Church of the Annunciation, St. Joseph’s Workshop and Mary’s Well. Continue to the Jordan River and the Baptismal site, the Yardenit. Onward to Beit Shean, one of the ancient Decapolis cities and a visit the Roman Theatre. Here Saul and his son Jonathan were nailed to the walls. Judges 1.27 also mentions Beit Shean. Drive south along the shores of the River of Jordan passing Jericho to the Golden City of Jerusalem. Dinner and overnight in Jerusalem. Today, visit the Old City of Jerusalem. Begin with a panoramic view of the city from the Mt. of Olives overlooking the city's walls and the Jewish Cemetery. Visit the Church of All Nations and the Gethsemane Gardens where Jesus was betrayed by Judas. Proceed to Mount Zion to see the tomb of King David and the Room of the Last Supper. Enter the Old City to begin exploring the wonders of Jerusalem. Walk through Cardo, the main street of Jerusalem 2000 years ago. View the Temple Mount and the Western Wall. Walk along the Via Dolorosa, where Jesus carried His Cross. Continue to the Church of the Holy Sepulchre housing the site of the crucifixion and the tomb of the resurrection. Afterwards, walk through the colorful Arab Bazaar. Finally, visit the Garden Tomb. Dinner and overnight in Jerusalem. Today visit the new city of Jerusalem. Visit the model of ancient Jerusalem. Continue to Yad Vashem, Israel's memorial to the victims of the Holocaust. Continue to Ein Karem, birthplace John the Baptist. This Spanish style church and Mary's Well is where Mother Mary met her cousin Elizabeth. Proceed to Bethlehem to visit the Church of the Nativity, the birthplace of Jesus. Dinner and overnight in Jerusalem. Drive through the Judean Desert to Qumran, where the Dead Sea Scrolls where found in 1947 by a Bedouin boy. Drive along the shore of the Dead Sea, the lowest place on earth, to Massada, the last stronghold of the Jews after the destruction of the Second Temple in 70 A.D. Ascend Massada by cable car and visit the food storeroom, water irrigation system and Herod’s Palace. Time and weather permitting, we will have an opportunity to float on the Dead Sea waters. Return to Jerusalem for dinner and overnight. Add an Extension to Jordan or Egypt to this tour! 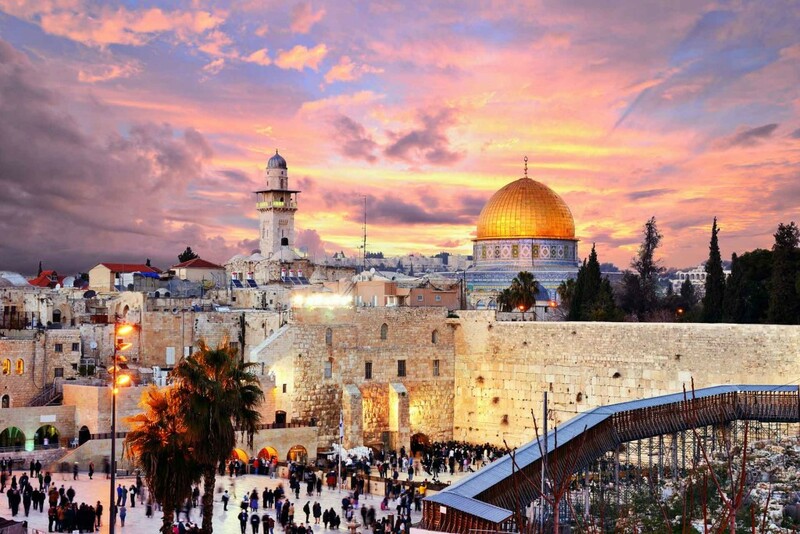 This 4-day Extension can be added to the end of our Treasures of the Holy Land Tour. 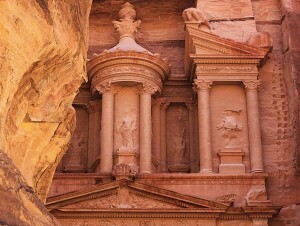 If you would like an independent tour to Jordan, please inquire.